This is our rescue, BooBoo a brindle and white Pitbull. 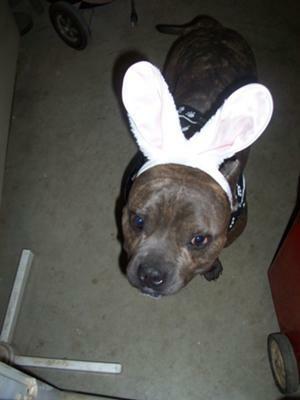 He thinks he can pass as a Bunny for Halloween, LOL. How many can he convince??? ?